Images are for demonstration only. Your results may vary. What is Forever Young BBL? 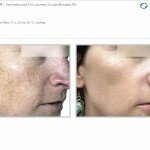 Forever Young BBL is an innovative technology that uniquely delivers light therapy targeting the signs of aging and sun damage. 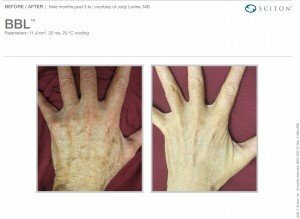 What type of skin conditions can be treated? 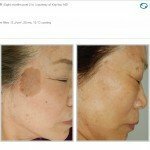 Forever Young BBL treats a wide variety of conditions. 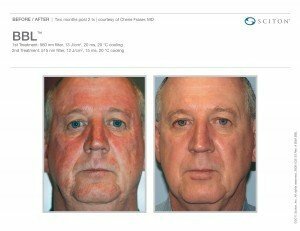 For skin rejuvenation, Forever Young BBL removes age spots, freckles, redness, small vessels and more. 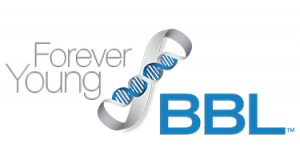 Forever Young BBL can also be used to reduce unwanted hair and control active acne. 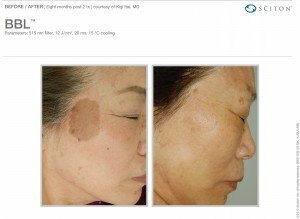 What areas of the body can be treated? All areas of the body can be treated. What will happen during the procedure? A cool gel is first applied to the treatment area. 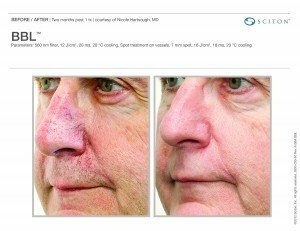 Then, a chilled applicator is placed on the skin to deliver the light therapy. 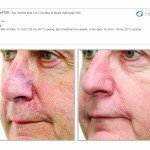 Are Forever Young BBL treatments uncomfortable? 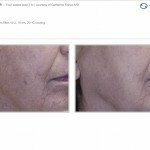 In more sensitive areas being treated you may experience some discomfort with Forever Young BBL. Your doctor may use topical anesthetic. Discuss this with your doctor prior to treatment. 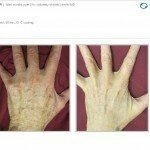 How many treatments will I need? Every patient is different. Your doctor will advise you on a treatment plan to achieve your desired result. When should I expect results? Every patient and condition is different. Talk to your doctor regarding the results you can expect. 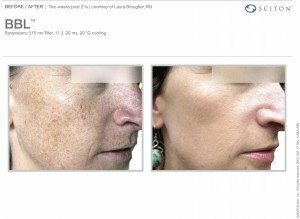 Is there downtime associated with Forever Young BBL? 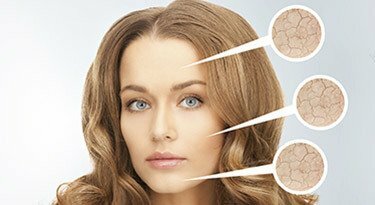 In most cases, you can apply makeup immediately so there is virtually no downtime. What aftercare do I need? You may be sensitive to sunlight and should apply sun screen and other skin care products as directed by your doctor. 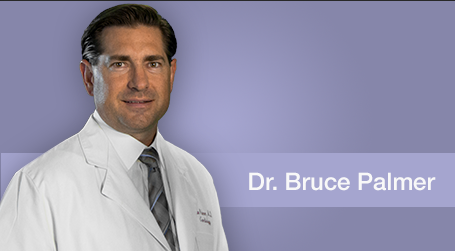 It is important to follow your doctor’s instruction after your Forever Young BBL treatment. 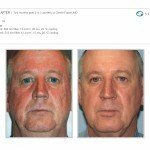 Regular restorative maintenance treatments are recommended for long term improvements to enjoy a more youthful appearance. 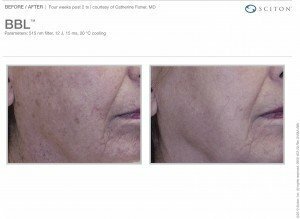 To learn more about Forever Young BBL, call 940-264-3223 or stop by the Radiant Touch Laser Center at 1631 11th street (corner of 11th and Brook) in Wichita Falls, Texas.